Has NBC fired Donald Trump and The Apprentice? The once popular reality show was conspicuously missing from the network’s new 2007-08 schedule but NBC executives maintain the series has not been cancelled — at least not yet. Actually, it was reported that NBC committed to a seventh season of The Apprentice back in June 2006. Of course that was before the sixth season ratings — the lowest to date. 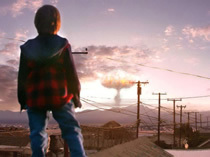 The first season’s two-hour finale attracted 28 million viewers. The sixth season was rushed and the one-hour finale attracted only eight million The decline seems to have caused ratings-challenged NBC to rethink their earlier greenlight. Earlier last month, Burnett said that he still believes in the series and its star. He told the NY Post that if the series is cancelled by NBC, he’ll take it elsewhere. “If you think I’m going to let The Apprentice end… that’s not going to happen. Trump is too big of a name,” Burnett said. NBC’s option on The Apprentice expires on June 1, 2007 so NBC will have to make their decision in about two weeks. Will the show return to NBC, move to another network or end entirely? Will Trump be fired from the network or quit before he can be pushed? We’ll know for sure in the next few weeks. Stay tuned! very entaining show. its still a good fcrmat I thought the changes were well done. keep the show going. 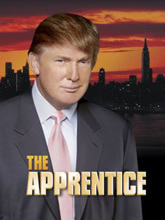 I have always been a devoted viewer of the Apprentice. This year it lost it’s edge. It was degrading for such a great group of potential employees to have to sleep in tents. You couldn’t see them or here what they said – or see their plan strategies – which is why a lot of us watch from the Corporate world – to learn. They need to get back to the “real world” and classy environment they had, and back on Thursdays!! Love the Apprentice–hated the idea of the losing team living in a tent. It’s time to end The Apprentice, it just doesn’t cut it anymore, somrthing is missing and the public do not enjoy it as ot once did. Move on to something better.